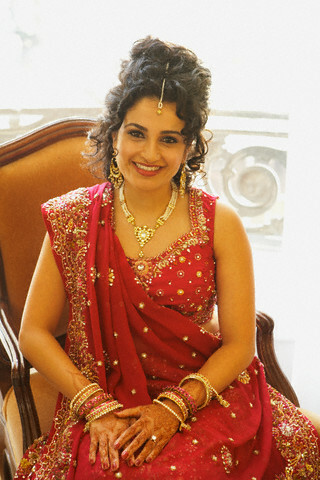 Most of us buy beauty products from the market, which are very costly and loaded with chemicals. If you want to have pink, pouty lips, you go to the market and buy lip balms, lip scrubs and tints to make your lips look pink and beautiful. Have you ever checked how much chemicals are included in these products? You can see a long list of chemicals that are used for making them. But often you ignore them and buy what you need, as you want to flaunt your pink lips. If you want to try something that can give you a pink pout, but without affecting your skin with any chemicals, then try this DIY. An easy way to get pink lips in a natural way is to use beetroot. If you have handled beetroot, you will know very well that it can stain anything that it comes into contact with. So, it is an excellent way to colour your lips also. 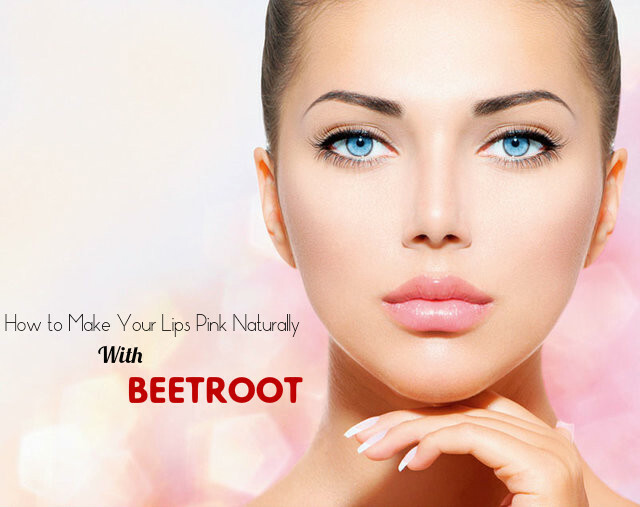 Beetroot can give a gorgeous pink tint to your lips and also remove any lip pigmentation. It is a natural product and free from chemicals. It is also inexpensive. So it is best for using on your lips. If you want to know how to colour your lips pink with beetroot, read on and you will know. Pick the beetroot and wash it thoroughly to remove all dirt and germs from it. Now peel off the outer layer and cut the beetroot into small pieces. Then put these pieces into the food processor. Now you have to grind the beetroot pieces well so that there is a visible watery residue. When you grind beetroot, make sure not to add any water because that can dilute the vibrancy of the colour. Now you have to strain the juice of grated beetroot carefully and make sure that no bits or pieces get in to it. Take a clean container and transfer the stained beetroot juice into it. You can store this for future use. You can use an old lip balm case as the container and store the tint. The container or jar that you use for storing the tint should be cleaned well and sterilized. To clean the case, you can wipe off any residual product that may be present in it and then wash it well. Then you can sterilize it by rubbing it with alcohol. After pouring the tint into the container, add about one teaspoon of coconut oil to it. If you are on the looking for a sheer lip colour, then you can add some more coconut oil to the beetroot tint. If coconut oil added is less than a teaspoon, then the formula of the lip tint may become dry and flaky on your lips. So, make sure that you add adequate amount of the oil. Instead of coconut oil, you can also use honey or beeswax. They can also do a good job and they are great for keeping your lips well moisturized. Now you can blend the mixture well by using a clean spoon or a toothpick. Place the container in the refrigerator and you can wait for it to solidify. Once it gets solidified, you can use it. This lip tint is completely natural and do not contain any preservatives in it. So, you have to store it in the refrigerator to prevent it from getting spoiled. Since this is natural, you can apply it on your lips as often as you please. You will soon get pinker and softer lips. By adding sugar granules to this tint, you can use it as a good lip scrub. Mix one teaspoon of beetroot juice with one teaspoon of fresh milk cream and blend well. Apply this on your lips and leave it on your lips for 2 to 3 minutes. You can leave it overnight and wash it in the morning. Using this regularly on your lips helps in giving you soft, supple and pink lips. Blend one teaspoon of beetroot and half teaspoon of honey and apply this on your lips. Rub your lips with this and wash it off next morning. Attempt this daily for a week and you will get delicate lips with pinkish tinge. This is great for removing any sort of harm on your lips and helps in providing you smooth, red lips with a sparkle. Mint can make your lips look rejuvenated with its cancer prevention agents. It is also great for giving you a cooling sensation. Beetroot juice imparts redness to your lips. Take equal quantities of beetroot extract and mint juice and blend them well. Also add a few drops of almond oil to it. Now dip a cotton ball into this blend and peel your lips with it. Use it on your lips twice a day to get best results. Take one teaspoon of beetroot juice and blend it with one teaspoon each of salt less butter and olive oil. You can also add a few drops of rose water to it. Blend all the ingredients well and then apply it on wet lips. Keep it overnight and wash it off in the morning. Applying this daily for a week or two can provide you pink and glistening lips. It also keeps your lips delicate, supple and smooth throughout the day. Take one teaspoon each of beetroot juice, lemon juice and sugar syrup and blend them well. Shed you lips with this mixture for about 2 minutes and then let it remain on your lips for another 10 minutes. Now you can wash it off with water.